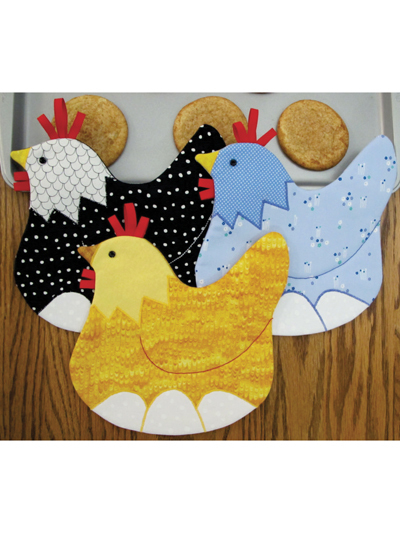 Sew up these cute chickens as pot holders, mug rugs or trivets in no time! The clever design uses bias binding for the comb, which doubles as a hanger. Finished size: approximately 9" x 9".